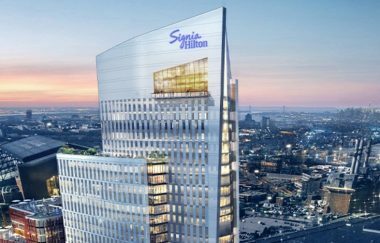 McLean, Virginia (United States) - March 6, 2019 (travelindex.com) - Hilton announced the launch of Signia Hilton, its dynamic, new meetings-and-events-focused brand. The portfolio of hotels is setting out to transform the industry for meeting professionals and sophisticated business travelers by infusing state-of-the-art technology and design into every aspect of the guest experience. “Signia Hilton grew from feedback from top meeting professionals, owners, developers and guests”. Book your hotel in the United States of America and around the world in 95 countries at best rates available. Earn HolidayClicks points and pay at the hotel. Book now at HotelWorlds.com!